SACRAMENTO (CN) — Six months after Gov. Jerry Brown’s veto, two California lawmakers on Thursday reintroduced a bill that would kill a state tax on tampons and other feminine health products — and, this time, make up the money by increasing the tax on hard liquor. With their previous attempt rebuked by Brown due to the state’s “precariously balanced” budget, Democratic Assemblywomen Cristina Garcia and Lorena Gonzalez-Fletcher proposed a new tax on hard liquor to offset the sales taxes generated by the feminine hygiene product levy. The proposal would scrap sales tax on products such as tampons and diapers, categorizing them with other tax-free necessities such as food and medical prescriptions. The Democratic lawmakers say their bill could save families as much as $100 annually in diaper costs alone. “This is about valuing the health of women, seniors and families over things that aren’t necessary to the lives of tens of millions of Californians,” Gonzalez-Fletcher said in a statement. September Brown vetoed Assembly Bill 1561 in September, despite its unanimous approval in the Legislature. He said the tax breaks could cost the General Fund $300 million a year. “As I said last year, tax breaks are the same as new spending — they both cost the general fund money,” Brown said in his veto message. This time around, the bill’s authors hope to sway Brown by boosting the liquor tax. Assembly Bill 479 increases the excise tax per gallon on liquor by $1.20 for spirits under 100 proof, to a total of $4.50 per gallon. The lawmakers estimate their bill would equate to a 1.5 cent increase per drink for consumers and point out that AB 479 does not raise taxes on beer and wine. “It’s babies over booze,” Gonzalez-Fletcher said. 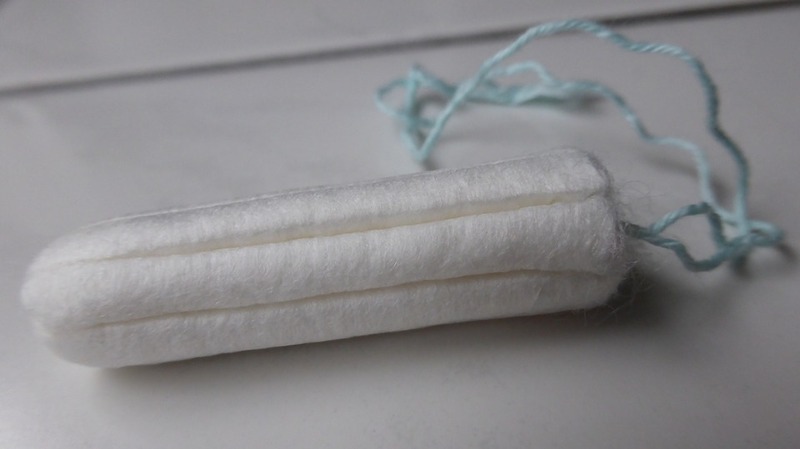 If the measure is passed by the Legislature and signed by Brown, California would join New York, Minnesota and New Jersey in dumping the tampon tax.